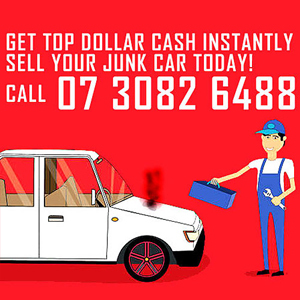 Sell your car for cash to Wreckery, the known car wreckers in Mount Gravatt. We buy all vehicles of any make, model, and the age. In case you want to sell your car, call Wreckery. We are Cash for car service provider in Mount Gravatt Area. We buy all vehicles irrespective of the make, the model and the condition of the vehicle. Also, we offer free no-obligation quote to our clients. Why invite a headache by deciding to sell your car privately? Contact professional car wreckers Mount Gravatt and Sell Cars for Cash Mount Gravatt. Professional wreckers Mount Gravatt will buy vehicle even if it is damaged or wrecked. Also, with professionals, you can rely on them to get you the best deal without you running from one potential buyer to another for finalizing the deal. When you sell your car to us, you get the necessary paper work done for free. And are also aware about what happens to your vehicle. Furthermore, we dispose of the metal waste generated through vehicles in an eco-friendly manner. So, why not let Wreckery be your best option? Car wreckers are people who buy and dispose of the vehicle. They also dismantle and recycle the metal from the vehicle. This activity ensures that metal waste doesn’t pollute the surrounding as well as encourages re-use, re-sell and recycle to conserve the environment. Wreckery is one such car and auto wreckers Mount Gravatt that believes in saving the nature from man-made harmful chemicals and wastes. Thus, when you sell your car to car wreckers Mount Gravatt, you also contribute towards preserving the environment. What makes a brand reputable? It takes a good product/service, trust and efficiency to gain reputation in the Industry. 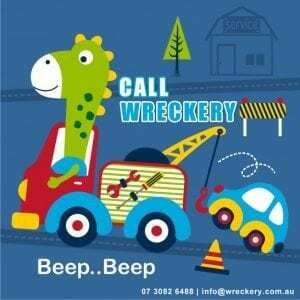 Wreckery with its quick service, transparent business policies and efficiency has become a reputable wreckers brand in and around Brisbane area. So, if you have a vehicle waiting to go, call us, and we will buy it from you for top cash. Experience and knowledge are essential for a successful business. Wreckery has the advantage of having experience of more than a decade as auto wreckers Mount Gravatt along with the expertise to grow and sustain itself as the No.1. Car wreckers Brisbane. Safety and trust go hand-in-hand. When you are dealing with a vehicle safety becomes a way of life. Even at Wreckery, we ensure that we diligently follow all safety rules. Also, only trained professionals operate our machines such as towing machine. This ensures your safety while removing the vehicle from your premises. Good automotive dismantlers are the backbone of any successful motor wreckers Mount Gravatt. Wreckery has a team of #1 wreckers and dismantlers to ensure maximum utilization of vehicle and its part through reselling, reuse and recycle. Sell Cars for Cash Mount Gravatt for the top amount. At Wreckery, we buy used cars, Vans, 4wds, SUVs, UTEs, and trucks irrespective of its internal and external condition. So, next time you decide to get rid of your unwanted vehicle, call us and make money from your useless car. Wreckery is a famous car wrecking company based out of Brisbane. We at wreckery believe in environmental conservation and therefore ensure that we treat all vehicles that come to us, in an eco-friendly manner. Since we re-sell, reuse and recycle the vehicle and the parts, we are not particular about what we buy. We buy all kinds of vehicle, model despite the age and the wrecked condition it may be in. 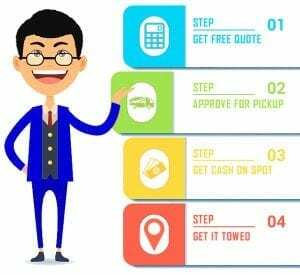 So, if you are looking for cash for car service provider, pre-owned vehicle provider or a quality spare part seller, connect with us to get the best of product and the service. There are few reasons why we are known as the No. 1 Free Car removals, Auto recycler and Wreckers in Mount Gravatt. Get Easy And Quick Cash For Your Car, Van, Utes, 4×4, Suv, Truck Or Commercial Vehicle For Cash only at Wreckery. No matter the condition of your vehicle, we will pay you the highest possible rate on your car. Use our cash for car services for easy and quick removal of your car. Also, earn the maximum cash possible from your vehicle by using our services. Wreckery offers the wide range of used and new auto spare parts at affordable rates. As we have been part of the industry we have the network of dealers and sources from where we obtain new vehicle parts. Also, as we deal in vehicles we have access to a large number of used parts. And since we have a volume we get such parts at lower rates as compared to the market. And we pass on the low rate benefit to our customers. Thus, you get affordable used and new auto parts from us.